A neuroanatomist and physician in the 17th century, Thomas Willis is known as the “Father of Neuroscience” and was a Founder Fellow of the prestigious Royal Society. His most famous work “Cerebri anatome: cui accessit nervorum descriptio et usus” (Anatomy of the Brain, with a Description of the Nerves and Their Function) gave an accurate, detailed, illustrated account of the nervous system. Thomas Willis, the eldest of three sons, was born in his parents’ farm on the 27th of January, 1621 in Great Bedwyn, Wiltshire, England. Both of his parents, Thomas and Rachel, were committed royalists. His mother died when he was ten years old and his father then married a local widow. Willis initially attended the School of Edward Sylvester. On March 3, 1638, he entered into the University of Oxford’s Christ Church College which he attended for over eight years. He earned his Bachelor of Arts degree in 1639, his Master of Arts degree in 1642, and his Bachelor of Medicine in 1646. During the years 1644 to 1646 he served in an auxiliary royalist regiment consisting of university members in the English Civil War. Both father and son served during the Civil War because of the family’s undying loyalty to King Charles I. His father and stepmother both died of camp fever in 1643. The King recognized young Thomas’s service and he was granted his medical degree in 1646 partly as a loyalty reward. With his degree, he began to practice medicine, initially as a traveling market day dispenser of medical advice in the villages around Oxford. He also stayed in touch with other scientists and physicians and habitually discussed cases that they handled. His impressive network included the architect and artist Sir Christopher Wren, physician, anatomist and physiologist Richard Lower, physicists Isaac Newton, Robert Boyle and Robert Hooke, and physician and philosopher John Locke. 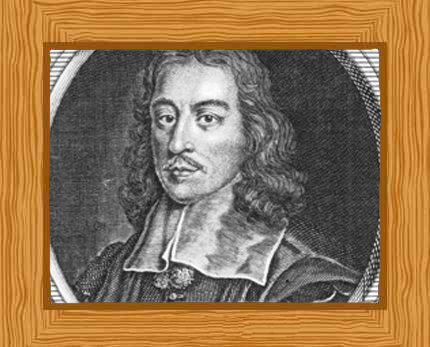 On April 7, 1657, Willis married Mary Fell, daughter of the vice-chancellor of Oxford. They had nine children, four of whom survived to outlive their parents. Before Thomas Willis, the concept of neuroanatomy, the study of the anatomy and organization of the nervous system, was very vague and details surrounding it were extremely limited. They were based mostly from the knowledge of Berengario, Da Vinci and Vesalius; these three scientists were greatly influenced by the ancient Greek physician, Galen. Galen believed that the brain’s primary purpose was to purify spirits that were, at that time, blamed for a lot of human diseases. The spirits he believed in were known to be phantom-like and were said to be capable of making their own decisions. They were especially seen as responsible for a lot of mental disorders such as insanity and depression. At that time, the brains that these scientists studied were of poor quality, having no effective means of preserving the organ. Willis respected those who came before him, although he also acknowledged the inaccuracy of their work. He started working on anatomy and formulating his own hypotheses, which involved experimental and clinical observations. A preservation method known as “chiriguia infusoria” (intravenous injection) had been developed by Sir Christopher Wren and found to be effective after which ‘vessels got revealed in every secret place of the brain and cerebellum by filling with the same colour’. This method allowed Willis to study the brain in its normal form as opposed to the disintegrated form that his predecessors were used to analyzing. December 14, 1650 proved to be an opportune year. Anne Green, a 22-year old prisoner of the state was convicted for infanticide and after being hanged in Oxford’s Cattle Yard, her body was donated for scientific study to Oxford. The corpse was delivered to Willis’ colleague, William Petty. When the coffin was opened however, Anne Green started gagging. Willis and Petty worked together in trying to revive her, and were successful after trying a few techniques. This marked Willis’ career as a physician. His Oxford practice prospered and in 1657 he moved into Beam Hall, a substantial property and he took on partners and expanded his practice; by 1660 he had the largest income in Oxford. In 1660 he was appointed as Sedleian Professor of natural philosophy at Oxford after an endorsement from Gilbert Sheldon, a strong supporter of his. In 1667 he moved to London at the request of Sheldon, now Archbishop of Canterbury, and established a large practice in St Martin’s Lane. His wife died in London in 1670 and Willis married a widow, Elizabeth Calley. Thomas Willis had six books published, one of which was only published after his death. His most famous work is his 1664 “Cerebri anatome: cui accessit nervorum descriptio et usus” (Anatomy of the Brain, with a Description of the Nerves and Their Function), where Willis first used the term “neurologie”. In this book, he showed gratitude to both Richard Lower for assisting him during dissections and to Christopher Wren for contributing meticulous illustrations. Two-thirds of the book’s 150 folio pages addressed the brain; the remainder described the cranial, spinal, and autonomic nerves. The arterial circle found at the base of the human brain is now called after him, the Circle of Willis. Though he was not the first one who discovered and described it, he discussed it in great detail, describing each part and vascular pattern in depth. He was also responsible for naming many other parts of the brain and the nervous system. Some terms that he coined aside from neurologie were optic thalamus, vagus nerve, corpus striatum, anterior comissure and internal capsule, among others. He published two further comprehensive books on the brain and nervous system “Pathologiae cerebri, et nervosi generis specimen. In quo agitur de morbis convulsivis, et de scorbuto” (On the pathology of the brain and nerves) in 1667 and “De anima brutorum quae homine vitalis ac sensitiva est” (On the soul of brutes which is that of the vital and sensitive of man) in 1672. Affectionum que dicuntur hystericae et hypochondriacae (1670) concerning hysteria. Pharmaceutice rationalis, sive, Diatriba de medicamentorum operationibus in humano corpore (1674–5) concerning drugs of the human body. A Plain and Easie Method of Preserving those that are Well from the Plague (written in 1666 and published in 1691). Willis came across several other brilliant medical and scientific minds during his time. Willis and these notable people were responsible for forming the prestigious Royal Society in 1663. He was also seen as responsible for major contributions not only in neurology but to other medical branches like endocrinology, cardiology and gastroenterology. He was acknowledged by John Locke in one of his acclaimed pieces in philosophy because of his contributions to his field. Locke was one of Willis’ loyal followers and would often attend lectures conducted by Willis. Thomas Willis died of pleurisy in London in December 11, 1675, aged 54 and was buried at Westminster Abbey where his bones lie to this day. His discoveries formed the foundations of neurology and the medical field as a whole.